How cute is this free turkey hat? Download your free copy at the bottom of the post. Print it out and it is ready to go! Children have to practice cutting along straight lines and one curved line. Glue or tape the strips to the front of the hat. Size it to fit the child’s head and tape it closed. 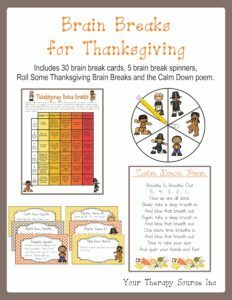 Gobble, gobble your turkey hat is all set to go! 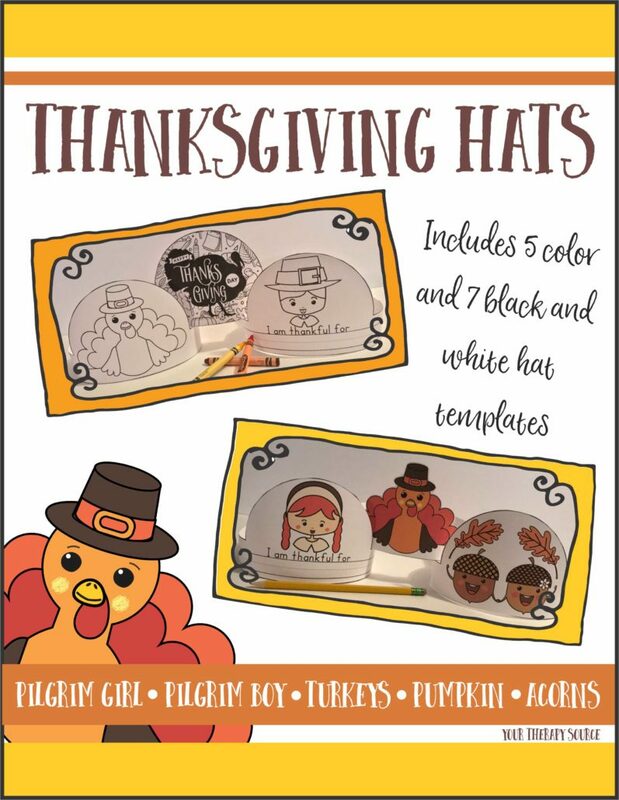 This hat is from the complete Thanksgiving Hats digital download. 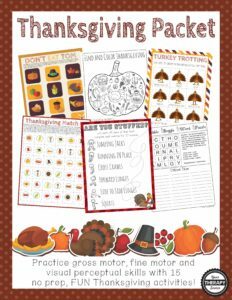 This fun, creative digital download includes the templates for 7 different Thanksgiving hats to encourage children to practice handwriting, coloring, scissor skills, glue use and pretend play! 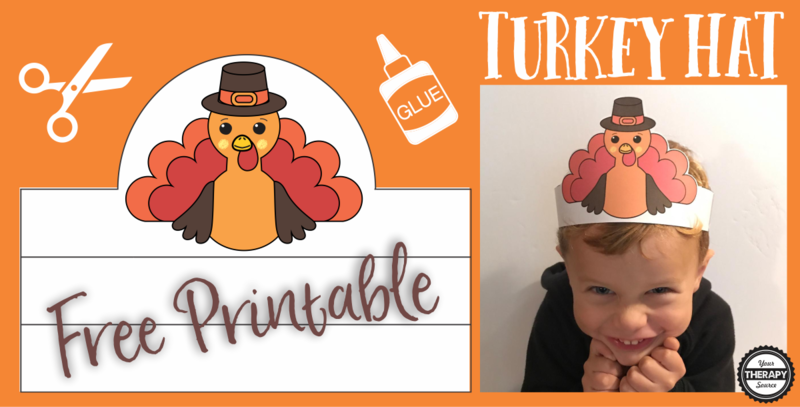 DOWNLOAD YOUR FREE TURKEY HAT HERE. 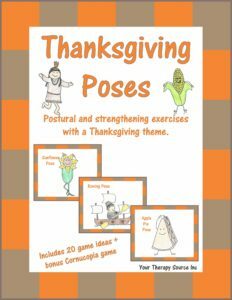 Need more Thanksgiving activities? 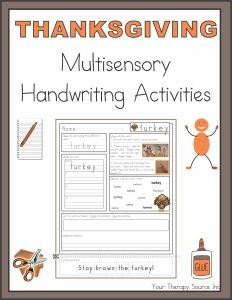 Check out the Thanksgiving Sensory Motor Packet, Thanksgiving Multisensory Handwriting Activities, My Thanksgiving Handwriting Activities, Thanksgiving Poses, Brain Breaks for Thanksgiving, and Thanksgiving Visual Perceptual Puzzles.